Capital Community College’s (CCC) Paramedic Program, the first and oldest program of its kind in Connecticut, will mark a milestone in December when its 50th class of students complete their studies and graduate. The four-semester Paramedic Program, part of CCC’s allied health studies since 1988, is nationally accredited and prepares students for careers as paramedics, emergency medical technicians, hospital and public health coordinators and first responders. Established at Saint Francis Hospital & Medical Center in 1986, the paramedic program moved to the college two years later. It remains the only college-based program in the state and was the second program in New England to earn national accreditation from The Committee on Accreditation of Educational Programs for the Emergency Medical Services Professions in 1993. EMS Coordinator and Professor Daniel Tauber says the program has graduated 900 paramedics in its 32 years at the college. 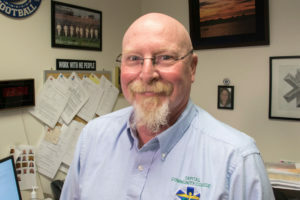 “We have graduates practicing in every emergency medical service in the state that employs paramedics,” says Tauber, adding that alumni work in 17 other states and two foreign countries. Saint Francis Hospital remains a primary partner with the College providing students with clinical rotations in the emergency department, trauma surgery, cardiac, surgical intensive care and other units at the Woodland Street hospital and medical center. “Saint Francis’ emergency physicians have provided medical oversight and direction since the advent of the program,” Tauber adds. Professor Daniel Tauber, E.Ed., CCEMTP, NRP, NCCE, EMS-I is coordinator of emergency medical services studies. Tauber points to high success rates on national licensing exams and job placement to earn Capital’s EMS certificate national accreditation. “For the past three years the program has a 98% pass rate on a cognitive exam and 100% on a psychomotor exam,'” according to Tauber. “For 2017 89% of our graduates are employed as paramedics with a three-year average of 77%.” Students enroll in the paramedic certificate program when they have a current state EMT certification and CPR certification. For professional advancement and degree studies CCC offers both the certificate and the associate in science degree in paramedic studies with options in emergency medical services instruction and emergency management response. 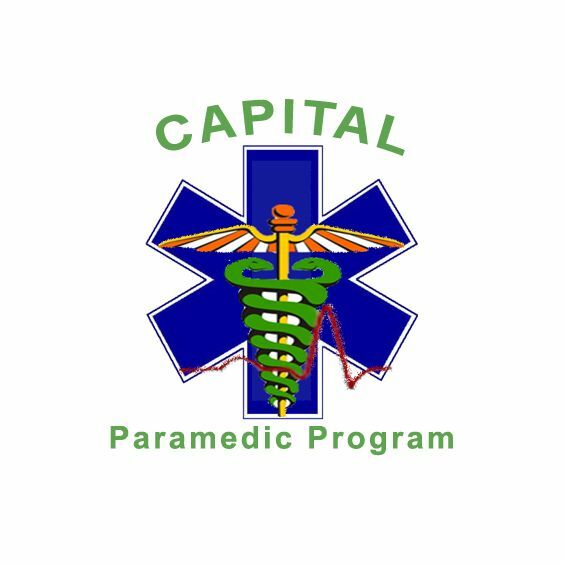 In observance of the 50th graduating class all paramedic alumni and community partners are invited to the 50th graduation ceremony on Wednesday, December 19th, at the Centinel Hill auditorium at Capital Community College. The social hour begins at 5:30 p.m. and the ceremony will follow at 6:30 p.m. Alumni and friends may r.s.v.p to Daniel Tauber at dtauber@capitalcc.edu. This entry was posted in 50th Anniversary, Events, First Responders, Health Care, Paramedics and tagged community college, Connecticut Colleges and Universities, EMT, First Responders, Hartford, Paramedics. Bookmark the permalink.